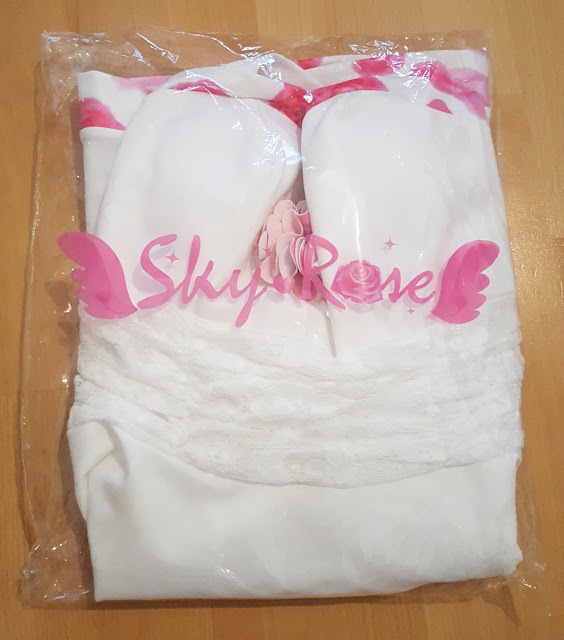 my order from Sky rose arrived a few days ago. I ordered it on the 22nd of September and it was shipped out on the 24th. I chose the slowest shipping option because it was the cheapest but it still had a tracking number. That's always a huge plus. 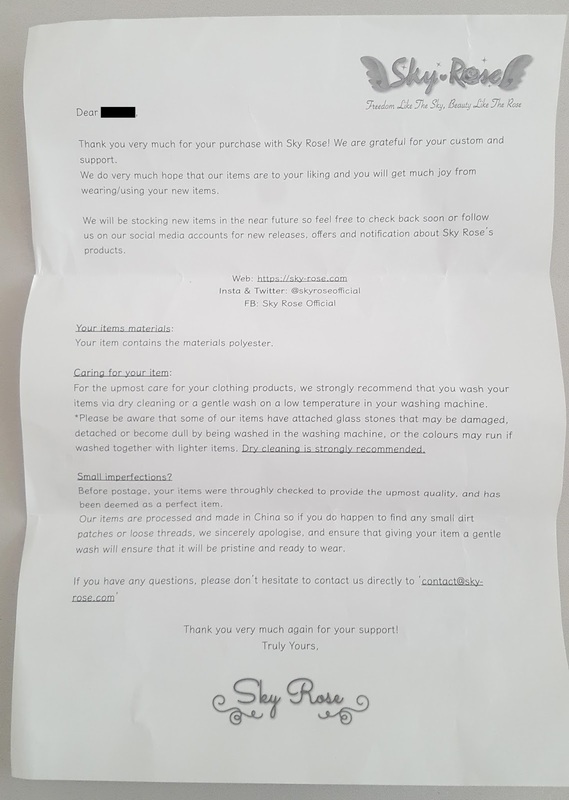 The dress arrived 19 days later on the 12th of October. 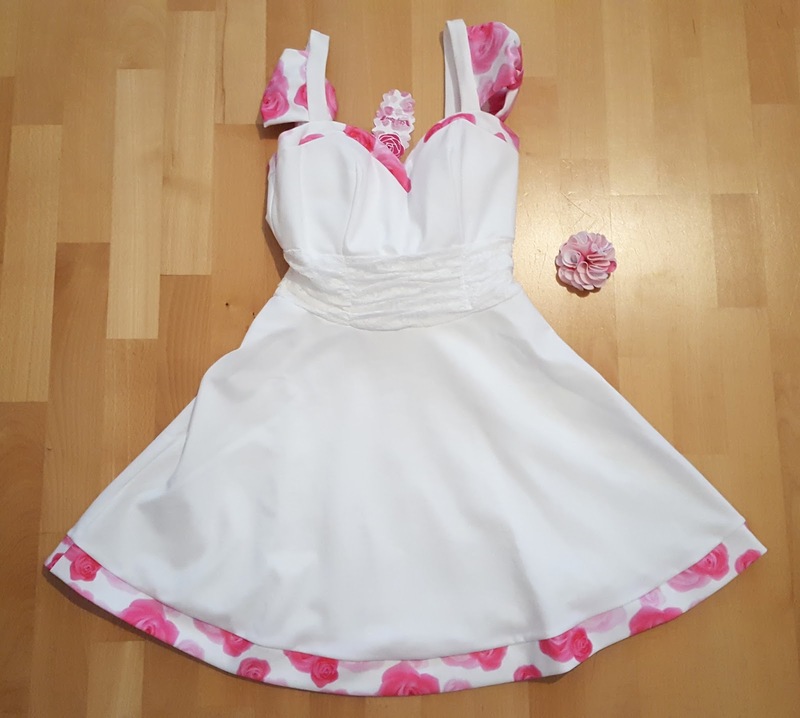 Even though I too the slowest shipping option the dress arrived really fast. Hooray. The package wrapping was gray plastic and the dress was wrapped in plastic too. The dress has a wide skirt with a lovely floral print border and details. It's completely made out of thick polyester material and therefore the dress is quite heavy. A small flower made out of the floral fabric came with it. 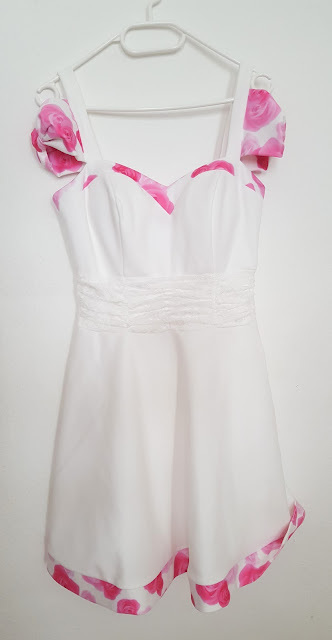 This is how the dress looks on a hanger. I had some difficulties because the dress and hanger were both slippery and the dress fell off all the time. 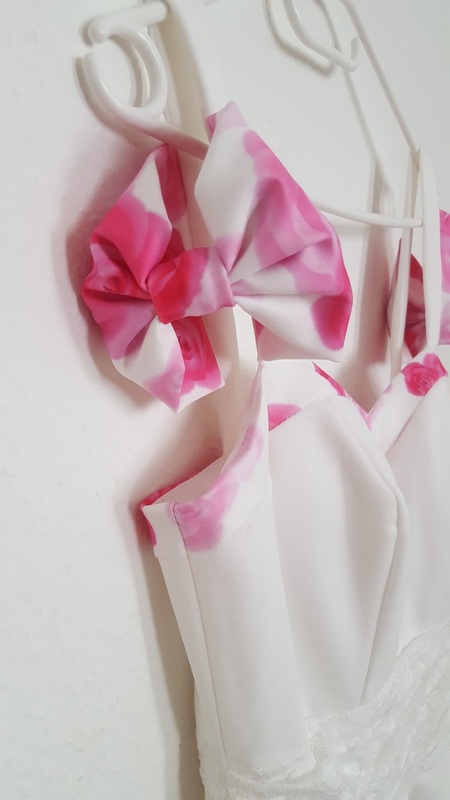 I really like the ribbons sleeves, they are my favourite detail. 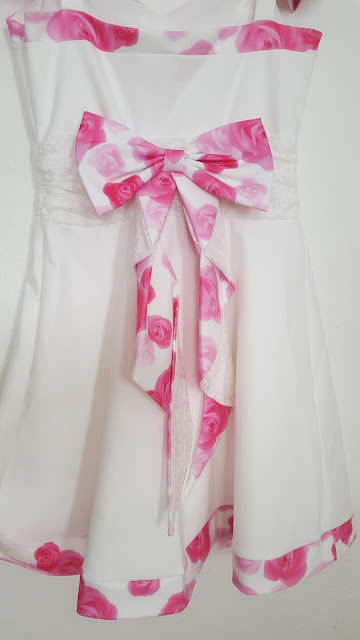 The bow is made out of the floral fabric on top and with lace at the back. It is very cute too. 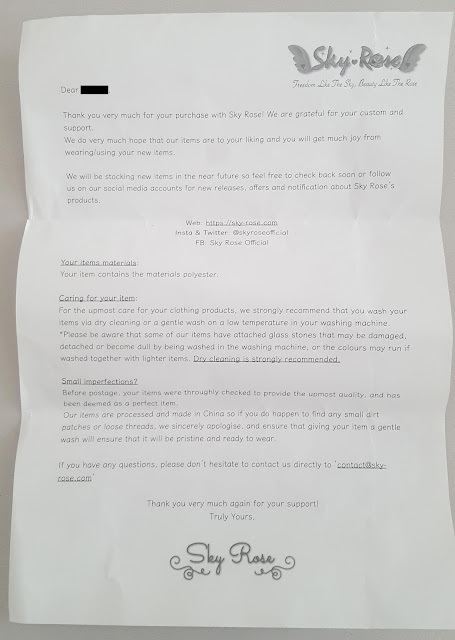 There was no washing tag at all in the dress but then I found a letter from Sky Rose with the washing instruction. That was a first. I would give Sky rose an overall 4 out of 5 stars.